Sometimes when we are doing some work on our computer, suddenly it crashs, restarts and shows an Error Message: "Send Error report to Microsoft". 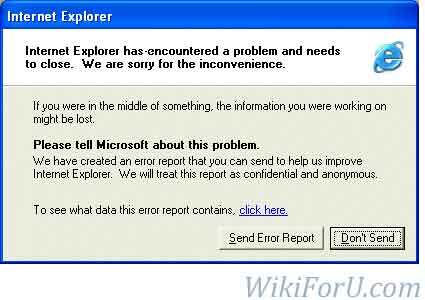 This is a system generated report that is to be send to microsoft to find a solution for that Error. So this is a good thing and is helpful for users and also for Microsoft to improve their products. But as we know many of us are using pirated Windows. A less number of Peoples Buy Windows from Microsoft and a large number of Computer users are using pirated or Duplicate windows with Cracks. So this is not helpful for those. 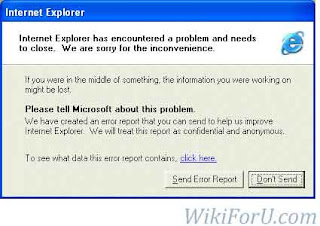 Because in that error report Microsoft have to know all details of your computer and if you are using a duplicate Windows and Sent error report then you may at risk of losing your computer, because i heard from one of my friend that microsoft may crash your Motherboard and make your PC just like a Box. Goto Start Menu-> Control Panel. In left pane click on "Change Action Center Settings"
In related settings click on "Problem Reporting Settings". Now select Never Check for solution.